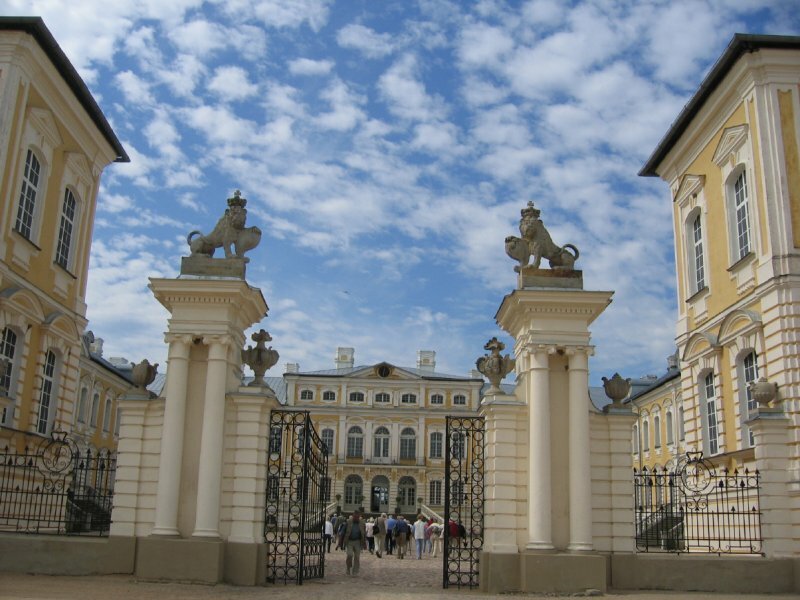 The pearl of Zemgale - the Rundāle palace is undoubtedly one of the main visitor’s must-see spots. The palace is one of the most outstanding monuments of Baroque and Rococo art in Latvia. Built between 1736 and 1740, the palace was meant as a gift from the Russian Empress Anna Joanovna to her royal favorite Ernst Johann Biron, the Duke of Courland. The summer residence of Biron was designed by the famous Italian architect Francesco Bartolomeo Rastrelli. After the death of Empress Anna Joanovna the Duke was arrested and lived in exile in Russia, and remaining construction works in the palace were resumed after the Duke returned in the reign of Empress Catherine II. The major part of the interior decorations was made in the period between 1765- 1768. Such masters as Francesco Martini, Carlo Zucchi, and Johann Michael Graff took a hand in the interior decoration works, creating true masterpieces of paintings and sculpture. Two stories of the Rundāle palace contain 138 rooms; from the exclusive duke’s bedrooms to the brick vaulted kitchen, where there must have been dozens of cooks making various culinary wonders for the duke’s feasts. The palace is surrounded by the large French regular park with labyrinths and a water channel. The palace is mostly used as a museum, but the park and some halls are available for rent to celebrate your very special events.